The future of Facebook as an advertising platform was called into question by marketers, lawmakers and privacy activists on Monday after revelations that its data on 50 million users was harvested and used by Donald Trump's political ad firm in 2016. Facebook was already under pressure for its role in enabling fake news across its platform during the 2016 election but had mostly escaped serious consequences. Monday, however, proved different after reports from The Guardian and ITN Channel 4 News that revealed the business practices of Cambridge Analytica, which worked closely with Trump’s presidential campaign. Facebook stock fell sharply at the start of trading, finishing down 6.8 percent — a loss of more than $30 billion in value for the social media giant. Brian Wieser, advertising and internet analyst at Pivotal Research, said that stories about Facebook’s problems could begin to add up. "Facebook isn't yet toxic," Wieser said. "But you do end up with consequences. You create a condition with advertisers or regulators where you don't get the benefit of the doubt. Should you believe them when they make a claim?" Steve Carbone, chief digital and investment officer at advertising agency MediaCom, a major ad spender on Facebook, said he is keeping track of the ongoing issues. "We will continue to monitor performance closely to ensure that our brands are not impacted by an underlying erosion of consumer trust on the platform,” he said. Facebook went from a dorm-room project to a global media giant by offering marketers the chance to aim their ads at particular groups of people, a process known as “microtargeting.” Debra Aho Williamson, principal analyst for the digital advertising forecaster eMarketer, said that the most recent controversy represented a legitimate threat to the company’s business model if Facebook has to make changes. Williamson added that remains a big if. "If Facebook were forced to change the way it uses data or the way its ad products work, then advertisers may become less enamored with it," Williamson said. "But for now, we see no signs of advertiser demand diminishing. On the contrary, worldwide ad spending on Facebook is expected to rise more than 22 percent this year, reaching $48.85 billion." Marketers may not be immediately leaving Facebook, but some users were, adding to a small but growing movement to ditch the social media network altogether. TV showrunner Michael Seitzman announced he'd be disappearing from Facebook while others reminded Facebook of how fast users disappeared from Myspace. In February, actor Jim Carrey announced he'd quit Facebook because of its involvement in spreading Russian disinformation. Other Twitter users started using the hashtag”#WheresZuck” in reference to the lack of comment from Facebook CEO Mark Zuckerberg. Paul Grewal, deputy general counsel at Facebook, said in an email that the company is taking action to make sure the data harvested has been deleted. Even if marketers stick by Facebook and the company loses only a few of its 2 billion users, there’s a growing sense that government regulation could be on the horizon — and that could be a serious issue for the company. Both Democrats and Republicans issued strong statements on Monday calling on Facebook to make changes and questioning whether the company had grown too big, too fast. Ron Wyden, D-Ore., a member of the Senate Intelligence Committee, sent a letter to Zuckerberg asking whether the Federal Trade Commission should be step in. Facebook signed a consent decree agreeing to protect users' privacy in 2011. Failure to do so could result in financial penalties. Sen. Marco Rubio, R-Fla., told NBC’s "Meet The Press" on Sunday that the company’s ability to control its platform had not kept pace with its rapid growth. “I’m disturbed about Facebook’s growth and behavior,” Rubio said. Free Press, an advocacy group aimed at helping consumers regain control of their private information, said it believes there is a role for the FTC in this situation. 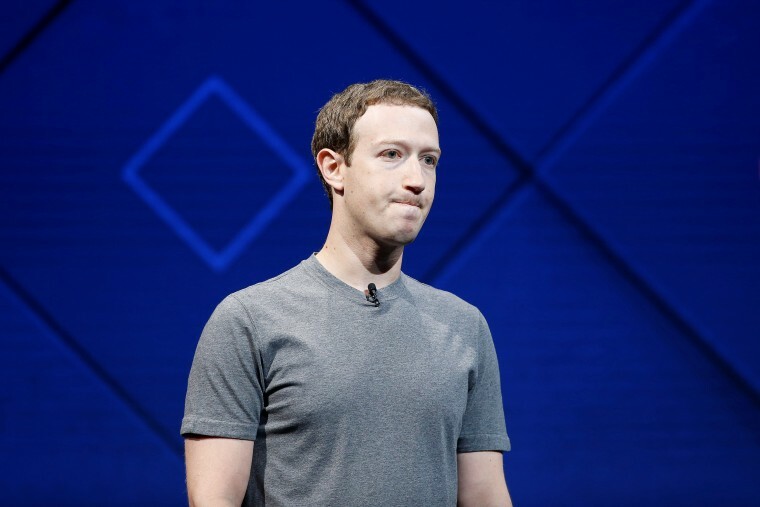 "It seems apparent that Facebook has violated the 2011 consent decree governing its use of users' personal data," said Tim Karr, senior director of strategy at Free Press. "The questions remain: Will the FTC follow the letter of its decree and levy fines against the company?" The FTC declined to comment on whether it will issue a civil penalty against Facebook. Joel Winston, a privacy lawyer who specializes in consumer protection, said social media users might want to imagine what kind of power Facebook will have after collecting decades worth of consumer likes, not just on its platform but across the web and in the real world thanks to location tracking. “We have the most powerful platform ever created,” he said. Dipayan Ghosh, a fellow focused on technology policy at the think tank New America, said that the news isn’t surprising given how much personal data is collected by tech companies. "While the new disclosures have shocked us all, there is really nothing new here,” he wrote in an email. “The reach of digital advertising is expansive, and consumer data is everywhere thanks to regular policy violations and security breaches." He said that these kinds of events will hopefully push regulators to begin taking serious steps to address these issues. "These kinds of incidents bring into high resolution the reality that what the public needs is comprehensive reform of our national privacy standards,” Ghosh wrote. “Nothing short of the integrity of American democracy is at stake."